What is up, everybody! Fred Lam here and welcome to our daily huddle episode number 52. All right in today’s daily huddle, I want to cover why you should never set up a new ad during the middle of the day for your Facebook advertising campaign. This actually doesn’t really apply to Google as much but more towards Facebook. I want to share with you exactly why I always recommend people or my students, never to actually set up an ad to go live during the middle of the day. Here’s the exact reason, so let’s say that you are basically it’s 3PM or 4PM your local time and you decided that you got some time to actually set up an ad. When you actually set up an ad during let’s say 3PM to 4PM and you actually set a daily budget in place. let’s say that it’s 3pm and you set a $20 daily budget in your Facebook Ad, what’s going to happen is that it will typically take an hour to actually get approved. Obviously if you have a great account that is in great standing with Facebook that have been running for several months with no problem, your ads will instantly go live. When your ads actually get approved and actually go live inside Facebook system, it is actually very quick. It’s not like Google. Google has a delay and I don’t know why they have a delay maybe their network is a lot bigger and there’s too many placements for Google. But when it comes to Facebook, when your ads are active right away then what’s going to happen is that if you set in a $20 budget, Facebook has so much inventory and they obviously are being controlling your bids, what’s going to happen is that between 3PM to midnight which is now let’s say 9 hours period, Facebook will exhaust your daily budget just like that. When you actually exhaust your daily budget you’re not actually allowing Facebook to run a full 24 hours so the data that you actually get in that 9-hour period maybe irrelevant to you. Because Facebook is trying to actually fill up your daily budget right away, and they will actually serve to all kinds of people within your audience. For you it’s actually very wise to actually set up your ad to go live right after midnight. One thing that I do is that I always tell my team and I even do that myself that our ads will not go live unless if it is 12:08AM. Now with the time there is an important part to it, now for somewhat reason for me my Facebook ad accounts are actually in Hawaiian time. So, in Hawaii time obviously it is 2 hours behind to Pacific Time zone. Not only do you want to set up your ad to be actually going live after midnight, you got to make sure that you looked into your Facebook account and see what time zone your Facebook ad account is and when you schedule your new ad, make sure you actually go live the next day right after midnight. By doing so, you’re now having a full 24-hour period for Facebook to actually serve your ad and help you identify which audience or who the audiences are and most importantly, what time is best to actually surf your ad because over 24-hour period, let’s be honest $20 a day is not a lot of money, but over 24-hour period Facebook will actually allocate evenly. Sometimes not even evenly, they will sporadically put in more budget in certain times that they know that you are actually going to get the campaign objective that you actually tell Facebook what you want in result from your ads. At the end of the day, again if you set up in the middle of the day, your ad budget will just get exhaust very quickly and you may get some irrelevant data because Facebook is just trying to actually cram in all the spend. Obviously, if you have a campaign that works out phenomenally well, then that’s great nothing for you to worry about; however, if you are just starting out, you don’t know what you’re doing and all of a sudden, you just ran through all your budget, you’ll be like well what happened next is there something wrong with my ads or all those other stuff – so again what I wanted share of you guys is that you got to make sure that when you are actually running your ads, make sure you run it the next day and I usually set it up usually on midnight and that is the best way to get the right results for your ads. With that being said, just a quick tip for you guys. Let me actually go into our official daily huddle today answering the 5 questions. For those of you that is first time actually joining us in our daily huddle. Every weekday I actually come on live to answer 5 questions. It can be any questions about your business, running ads, running your store, it could be anything that you want or you want my advice, you simply just want to go to www.fredlam.com/ask and you can actually fill in the information and I’ll get your questions featured. Obviously, I have been doing this for 52 episodes already. Right now we’re on episode number 52 so obviously I have answered over 260 questions already. All those questions are being transcribed and added to my website at www.fredlam.com and all you got to do is simply search for the keyword and you will find out if you’ll see if I actually got that questions addressed or not and you don’t have to wait until I actually feature your question for our daily huddle. Great question that you brought this up, obviously without a doubt, I’m going to say it’s Zero Up because I own that. 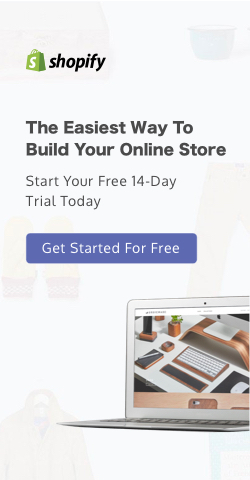 But if you don’t you don’t have that budget to join us in our exclusive members area, there are some other apps out there that you can actually look at for your Shopify store. So one of them is a Smart 7 app that is basically natively added into Shopify where it has to pop-up when you’re trying to add a product to checkout, there’s a pop up and you can actually select your product from there. 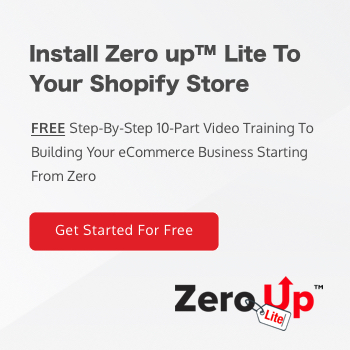 Another one that is a approved by Shopify and one of the only ones that actually got approved that is affordable is [Sipify by Ezra 0:08:51]. So, he has actually come up with something that is for upsell and you guys can actually take a look at that. Now the best strategy for upsells, one of the most important thing about upsell is that you have to make sure that the product that you are going to upsell supplements the initial product that you are selling. For example, if you are selling a pen obviously you can sell the refill of the pen that really supplements the initial product that has to be in sold. If you are selling a watch maybe sell a watch case or something that can actually go hand in hand with the upsell product. Let’s say that you’re selling iPhone case then you can actually sell iPhone accessory, maybe a charger or maybe the tempered glass, screen protector. You can actually do that so it’s very important that when you are trying to actually upsell a product, it needs to actually be supplementing the initial product right on the gate, that’s what you want to do. So, I hope that helps you out. [0:10:22] Question 2: Can you please touch down on Google Shopping Ads & the setting of such ads? Can you please touch down on Google Shopping Ads & the setting of such ads, thank you in advance. Here’s the deal when it comes to Google Shopping, it is a completely different animal it is going to be a little bit much harder compared to Facebook ads and as a matter of fact, there is not a lot of things that you can control. When it comes to Google search a sort of shopping ads, it’s more of putting it out into the market, bleed the campaign and we use the word bleed a lot in Google because you got to basically spend some money like Google know what is happening before you start to optimize the campaign and start real in the profits. So, with Google Shopping ads here’s what you got to do, and I’m going to actually share with you guys right now and I’m going to just walk you guys through the steps, (1) inside your Shopify account, you can actually get an app that is called the Google Shopping app. When you actually have two app installed inside your store, what’s going to happen is that it can actually create a Google Shopping feed once you got a Google Shopping feed, you actually have to go over to the Google Merchant Center and you got to upload the feed right into the Google Merchant Center. Obviously, there are a lot of things that you got to work on. For example MNP, you got to work on the UPC etcetera. 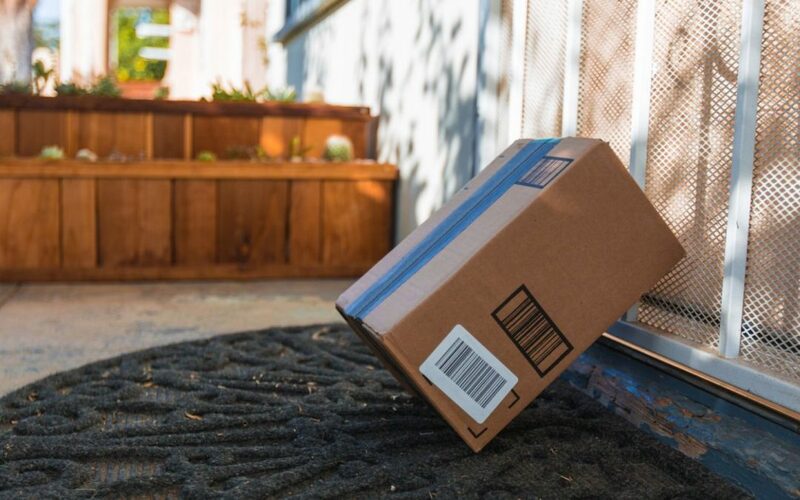 Now, there is obviously a hack since that if you’re drop shipping a product, you can actually put everything by default and not put an MPN or put a UPC I forgot the exact strategy because I have to look into my computer on the process because you can actually set it up once. That’s all you need you don’t need. You need to actually set up once then you can actually set it and forget it. Once you actually have that done, then you got to actually hook up your Google Merchant Center with your AdWords account. Once you actually have it hooked up with your AdWords account, then you can actually run a Google Shopping ad. Now, here’s the deal when it comes to running Google Shopping ads, you have no control over basically where your ads are being showing, what keywords Google is bidding on and what users are actually searching to actually find your product. You’re basically letting it be in the hands of Google. That’s what you’re doing. So, ultimately what you have to do is you got to make sure that you have a great title, great product description and you name your variants properly. Once you actually do that – if we actually take a step back in the Google Merchant Center, you also have to set up shipping. You have to set up the shipping that aligns with the shipping table inside your Shopify store. I missed that step, my apology. Once you actually have your ads up, then you simply just let Google do its thing and you will find out that your ads are going to be shown in super irrelevant keyword phrases. So, your job is to actually cut off the keywords that are not performing for you and you let Google keep finding new keywords for you. That’s really how Google shopping works. At the end of the day, I have seen people that made a lot of money with Google shopping and with Google shopping, you obviously wanted to actually have a store with quite a lot of products, having 25 products is not really going to get you a lot of traffic. You want to actually have like over a hundred products to actually utilize the Google Shopping Channel. So I hope that helps you out, a quick walkthrough on how to do it. [0:14:03] Question 3: During your Daily Huddle 48 you mentioned to many apps will slow down our website. How many apps is to many? During your Daily Huddle 48 you mentioned to many apps will slow down our website. How many apps is to many? So, it’s very hard to say how many apps is too many. What is most important is that you got to use Google’s https://testmysite.thinkwithgoogle.com, that’s the URL and you want to actually look at the site’s speed and you want to basically first take a look at okay what are the core apps you need first and then you run the site speed from there. When you run the site speed, you’ll get a score. Now when you add another app that you want but it’s not really the core app, it’s just another app that you think it’s going to help you, then you run the score again and see the number difference. You don’t want too many apps. I’ve seen people that have like twenty to thirty different apps in their store because they see it that it’s free so you just add it into their store but at the end of the day that would actually affect your overall performance. So you want to start the core ones first and I would have to say anything above 10 I think it’s going to be way too many. You condense it and I don’t think you need really more than 10 apps to actually get the profits that you want from your advertising campaigns. I hope that helps you out. At the end of the dropshipping is basically a strategy that you can use for your e-commerce business. Obviously providers are going to be like for your CRM, for your website, there are Shopify which I highly recommend. 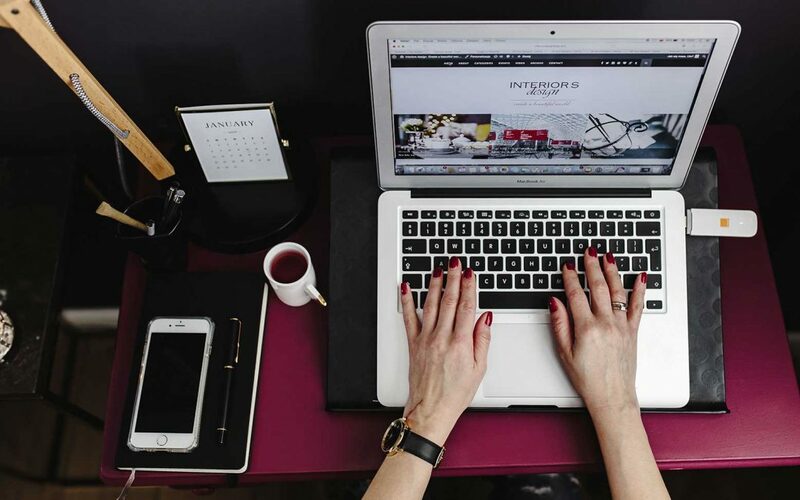 There is WooCommerce that is actually powered by WordPress and WooCommerce, there’s also big commerce that are Presta Shop and there is another big one which is called big commerce. These are the five main what I call the e-commerce platform. So if you actually apply the same strategy to WooCommerce, it’s really in the same. You can actually apply the strategies for dropshipping into WooCommerce. Now, here’s the thing, I’m not bashing woocommerce. I’m just sharing with you what I know, my experience and why I actually choose Shopify over WooCommerce. WooCommerce is based around WordPress. Obviously with a WordPress website, you’ve got to pay for hosting regardless. You got to pay someone like Hostgator, GoDaddy, Blue Hose etcetera to actually have your website hosted. So, that’s going to cost you like around $20 a month on average. Now the second thing is that you are not going to get a live support that will help you if you actually do something wrong with your theme or basically with their plugins. That is because WooCommerce is free. So, that’s going to be a problem if you run into any technical problem then guess what they’re not going to actually get any help. Number three is vulnerability so a lot of people actually attack WordPress websites and the reason why they ask attack WordPress websites is because they are easily hackable. Now, imagine if you have your customers data inside your WordPress platform powered by WooCommerce and if your website got hacked, what happens? Then it’s going to be a in breach of data, so that is going to be like a dangerous territory to be really in. Also, yes WooCommerce can give you more customization but you got to be super tech savvy to actually understand what’s going on and how to actually use it. Obviously with the hosting, with basically you need to actually buy a security for your site then that already costs really the same as Shopify. Why not use Shopify where you can actually go through a live chat, ask someone for help and simply use Shopify instead. So that’s my recommendation. I mean if you have been in WooCommerce for the longest time, by all means use from WooCommerce, but I’m just sharing of you my feedback about WooCommerce and why I would choose Shopify over WooCommerce. Thank you for delivering good contents to us every single day. You are absolutely welcome. You are my best mentor who drive me forward and whenever I feel frustrated. That is excellent! Great to actually hear that. Put in a ‘one’ into the comment box if you guys just love my daily huddle. This is something that you guys actually look forward to every single day. I’ve been actually now getting more and more comments, more and more feedbacks about my daily huddle which is great. I love to speak back. The real reason why I’m doing these is really to obviously to inspire you guys, to share with you guys my knowledge and that’s all my intention really is. I never really try to sell you guys something on my daily huddle. I could have but I decided not to, I’m planning on there just giving you guys content and that’s all I am actually doing. And really inspiring you guys to get started. Right now we are in the perfect era of entrepreneurship, perfect time. So you guys definitely want to actually take advantage of it and seriously take action. [0:20:05] Question 5: My ad account is in Malaysia time zone and im selling to USA. I knew that 1pm in Malaysia is 12am in Pacific time. So should i set my ads to run at 12am Malaysia time or i should let it run at 1pm Malaysia time which is 12am in the Pacific time zone. Thank you for delivering good contents to us every single day. You are my best mentor who drive me forward whenever I’m feeling frustrated. Here is my question, my ad account is in Malaysia time zone and im selling to USA. I knew that 1pm in Malaysia is 12am in Pacific time. So should i set my ads to run at 12am Malaysia time or i should let it run at 1pm Malaysia time which is 12am in the Pacific time zone. Thank you. So, Andy here’s the thing, when it comes to US, there is Pacific Time, Mountain Standard Time, Central Time and also there is Eastern Time zone. So you can’t really tailor it specifically to Pacific time or Eastern Time. Now, what I can tell you is that you want to make sure you look at your ad account and to see what time zone it is in. If it is in Malaysia time, then you want to run your ads at 12AM Malaysia time, not Pacific, not Eastern because you want the right data. That’s what you want. You want the right data in your Facebook ad account to actually figure it out. As a matter of fact, there’s a habit that I do. Not only do I actually check out my Facebook ad account what time zone it is, I make sure that my store has the same time zone as my Facebook ads. So that when I actually pull up data, I can actually look at it from apples to apples. So let’s say that if I am actually having let’s say that you’re from Malaysia you want to make sure that your time zone in your Shopify store is in Malaysian time too. So you’re going to look at the data identically from your store to your Facebook Ads. Now at the end of the day, there are going to be scenarios where your Shopify store actually got it sale but the pixel didn’t fire. So, you want to actually cross reference it and if you when you’re cross-referencing and looking your data obviously having two of the same time zone with two different platforms will help you make the right decision. 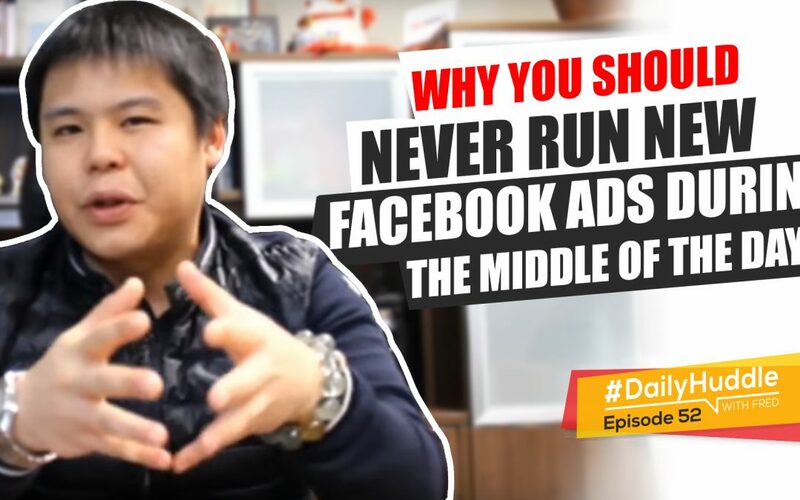 So, I hope that will help you out and answer in short – running in Malaysia time, running in whatever time zone your Facebook ads are really at. With that let me know what you guys think about our daily huddle for. Put a comment right below on Youtube over there put a comment right below on Facebook and Instagram if you guys give me comment, feedback on what you guys think of today’s daily huddle. Now while that is happening, just a quick link for you guys if you guys want to actually attend a live event where you’re going to learn everything about free traffic and I’m actually going to be there for the entire event, there’s a link right above on Facebook and right down below on YouTube, there is a link which is fredlam.com/3xc. It is a live event that is hosted by Kotton Grammer, key noted by Anik Singal and Neil Patel which is one of the best SEO person in our industry right now. If you guys want to learn how you can actually use free traffic to drive to any business that you own, even your ecommerce store, I highly encourage you guys to actually secure your tickets and be there in March. It is a live event it’s not a web event and it’s a live event and I’m going to be personally there I will be on-stage talking a lot about different strategies and all those other stuff and I may be hosting a meet-up just with my followers at the same time. Again link us above this video and right below it on YouTube. Anyways, I know obviously today’s Friday. I’m not going take a lot of your guy’s time and at the end of the day although it is weekend, it’s still very important for you guys to actually keep running your business, to keep spending time on it. We actually have something that actually came today in the truck it was two pallets and I’m actually building something and as I was telling you guys last episode that our daily huddle is about to have a change, a very massive change and it will happen most likely in hopefully the middle of February, latest going to be March. I hope that that will be all in place so you guys are going to actually see things completely different very, very soon. Other than that, leave a feedback right below, let me know what you guys think and I look forward on seeing you guys on Monday. That’s it for today guys I’ll see you on Monday.